The Executive Board, which is the highest level body assigned to the corridor. 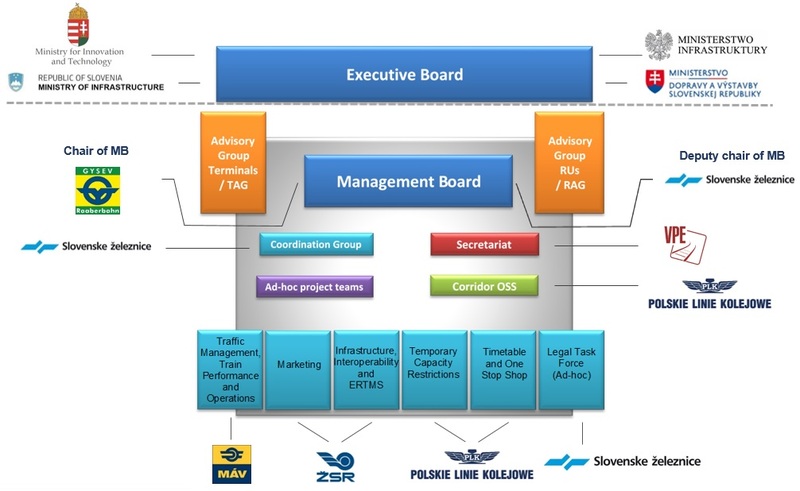 The Management Board, which is the main operative body of the corridor. For the sake of corridor establishment and considering the volume and the types of tasks, the MB decided to set up also other corridor bodies (e.g. Advisory Groups, C-OSS office) as well as the Coordination Group, a Secretariat and six Working Groups to support its work.